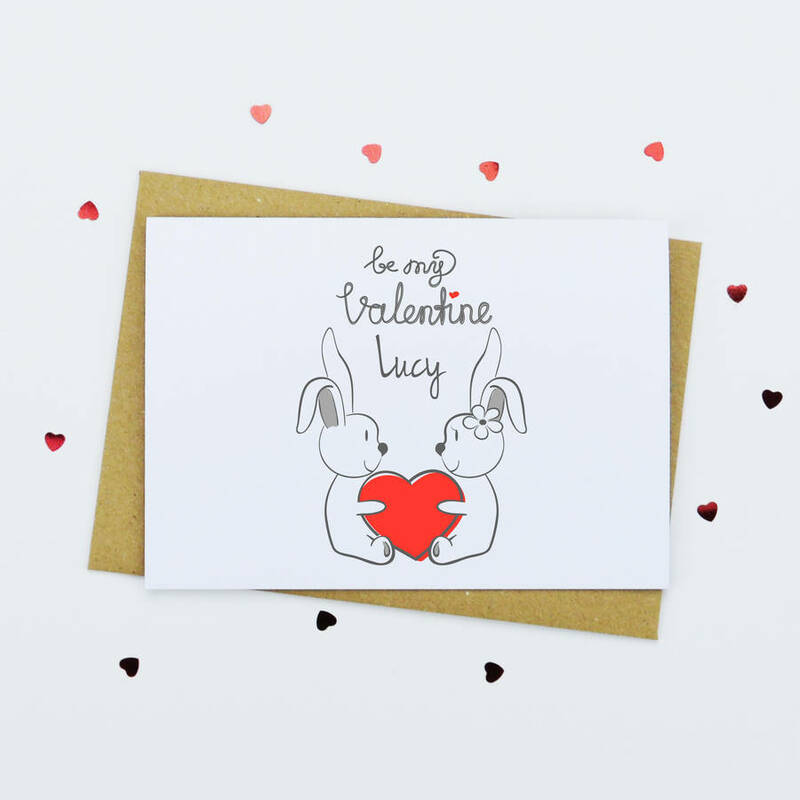 'Be My Valentine' card is perfect to give to someone extra special in your life on Valentine's day. This a gorgeous design of two rabbits holding a heart between their hands. 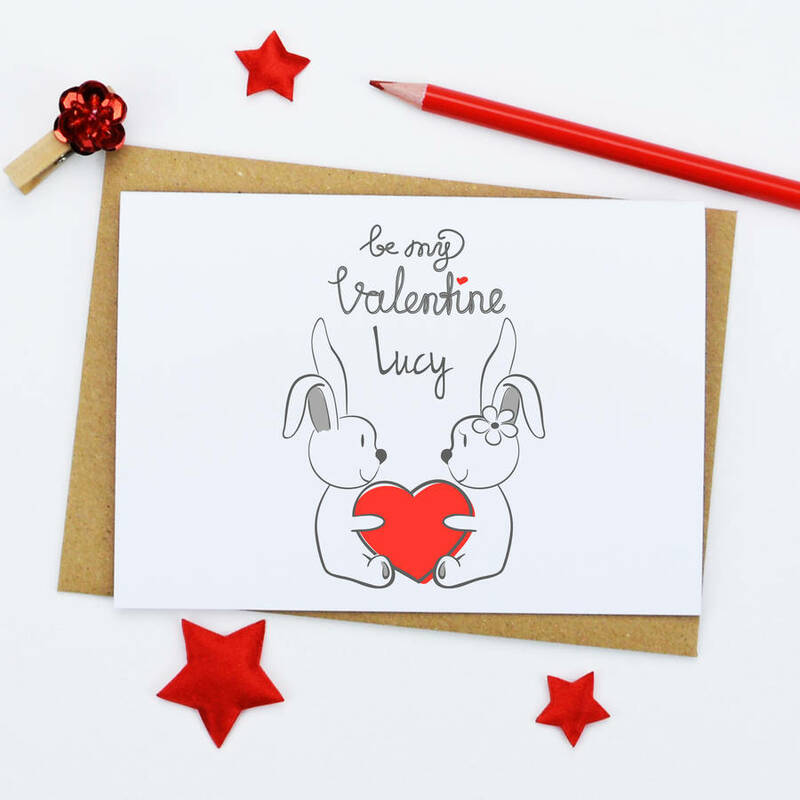 Each card is 300gsm and blank inside for you to write your own message, each card also comes complete with either a co-ordinating white envelope, or a brown fleck envelope and wrapped in a cello bag.